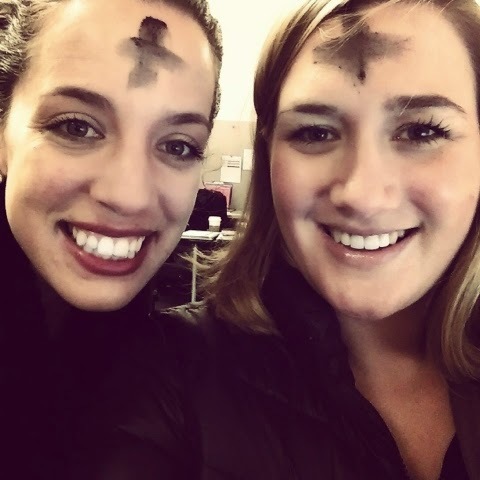 It's Ash Wednesday, or a Friday in Lent, what's for dinner? Immediately I imagine my Mom's Tuna Noodle Casserole! A close second is, of course, a fish sandwich. I'm trying to get creative this year with a different meat-free meal each week and calling the project Dinner During Lent. On Ash Wednesday we kept it very simple. We had pierogies with corn and shallots + roasted asparagus. If you're sensing something fishy here, it's a Catholic tradition to abstain from eating meat on select days during Lent, the period leading up to Easter Sunday. The rule applies on Ash Wednesday, the very first day of Lent, and each of the 7 Fridays throughout the 40 day period. You cannot eat meat or poultry, but seafood is OK. This is hardly a recipe, as the pierogies come from a box in the freezer. I cook mine a little differently than the recommended methods on the box, so I thought I'd share. If you indulge me in too many drinks it's likely that I'll make them for you in the wee hours of the morning, although with far more butter than I would otherwise! In a frying pan over medium-high heat, add just enough olive oil to coat the bottom of the pan. Add the frozen pierogies and cook them, without turning them over, for 6 - 8 minutes. Move the little 'rogies around to give them space and prevent them from sticking to the pan often. Once they're cooked and slightly crispy on the bottom, flip them over, add the shallot, and cover with the lid. Cook for 4 - 6 minutes more. Finally, add the corn, salt & pepper to taste, cover and cook for 4 - 6 more minutes. Preheat your oven to 350 degrees F. Toss the asparagus in olive oil, salt, and pepper and spread them across a baking sheet covered with a Silpat (or coated with non-stick spray) before adding the garlic to the top. Cook for 12 - 15 minutes, until the tops are slightly wilted/desired doneness is achieved. As soon as you remove them from the oven, top the asparagus with shredded parmesan cheese. Skipping meat on Fridays seems like an odd thing to do for God, right? The way I look at it, which is purely my own perspective, giving up or sacrificing things humbles you, serves as a reminder that you truly have more than you need, and helps you to appreciate all of the GOOD in your life. You'd better believe that Saturday morning bacon is glorious after a meat-free-Friday, making you feel grateful, thankful, and literally full!